December is Exciting at FCQC! Thank you to everybody who joined us for Black Friday and Small Business Saturday. We had so much fun with all of you and thank you for the opportunity to help make you more stitchy! You know you have a ton of things you want to get done before Christmas. Well, let's get them done together. We are hosting our first ever Stitch 'Til You Drop this Friday, December 1st. The cost is $10 to come and stitch, scrapbook, knit . . . whatever it is you need to do. We will stay open until the very last person leaves. We will begin at 10:00 a.m. and finish . . . well . . . until you drop! Bring a snack or sandwich and you don't have to go anywhere! We will show some fine Holiday Classics on our big screen TV. We must have at least eight people to make this go and space is limited. Call the shop and we will get you signed up. December 9th is our Market Review Event. Be the first to get in on the latest finds from Market. PLUS you will get a sneak peek at our 2018 Christmas fabric. The fabric rep will be at the shop to show you all of it. PLUS, you will be able to preorder anything you would like. Wait until you see the projects, patterns and Blocks of the Month that we have picked out for you! 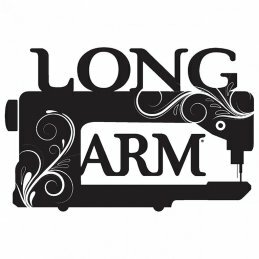 We now have a long arm machine in the shop. We do not do custom quilting, but if you would like a pantograph done on your quilt, come see us! 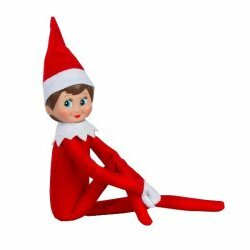 We will be send out more information on some fun things happening all during December with our Elf on the Shelf. Watch for us for more information on Facebook!